1. Tell us the Size, Color, Fabric Weight, Quantity. 2. If you have special requirements, please tell us the detail. 3. We quote you the price. 4. We work out and send the sample to you. Usually the sample price is the retail price. After you confirm the samples. you send us the 50% payment on amount,we will arrange the production immediately after received the deposit. We accept T/T,WesterUnion, Paypal. 6. The balance is paid before delivery the goods. 7. The MOQ is US$2000. 1. The first oder of silk bedding must over US$3000. 2. Then, The follow orders have no MOQ required. 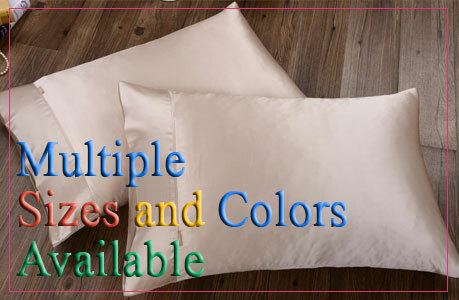 You can order one silk sheet or one silk duvet cover at wholesale price. 1.Your quantity need reach our MOQ: 50 pieces each colour each style each size. 2.You have the right to choose your material and styles which shows in pictures or real sample. 3.You have the right to confirm the quality of your order while producing and before send out. 4.You have the right to choose the shipment(delivery) way. 1. Send Us Your Pictures or Samples. 2. Tell Us the Detail, including The Fabric, Size, Color, Quantity, etc. 3. We supply a quotation to you with payment agreements and shipment option in 24 hours. Usually the sample charge is $100 for each style. Your costs for sample will refund to you after a formal order placed. During this time, pictures request is possible for you. 6. Usually, Production lead time around 3-4weeks. We can also make your label and tickets If you need. This need to be confirmed before your order placed. Your label and tickets should be sent to us before we made them. We do not charge any fee for this. 7. The balance is paid before delivery the goods. We also can supply package service if you need. Simple plastic package and master carton will be used if no requirements on this. 1. The first oder of silk pajamas must over US$3000. 2. Then, The follow orders have no MOQ required. You can order one pajamas at wholesale price. 1. Tell us the Size, Color or Pattern, Fabric Weight, Quantity. 2. Or select style from our silk scarf. 4. Send Logo and hang tag or the designs of them to us. 7. The MOQ is 200 Pieces/Per Style. 1. The first oder of silk scarf must over US$1500. 2. Then, The follow orders must over US$500.